Note: Due to the weight & balance limitations of the gliders, passenger weight is limited to 235 lbs. maximum. Introductory Flight / Gift Certificates $150.00 each*. * Recipient may make one additional flight within 30 days of the introductory flight at a cost of $100. To purchase using credit card call Tim at 425-466 9201. 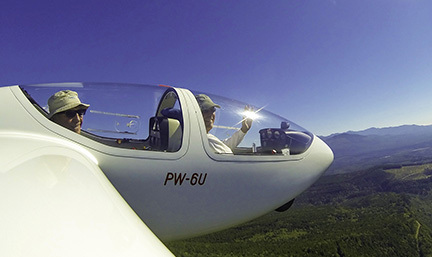 Or, you may send a check made payable to Puget Sound Soaring Association.